Yes, shoes, as in plural. First, I had these glorious heels. 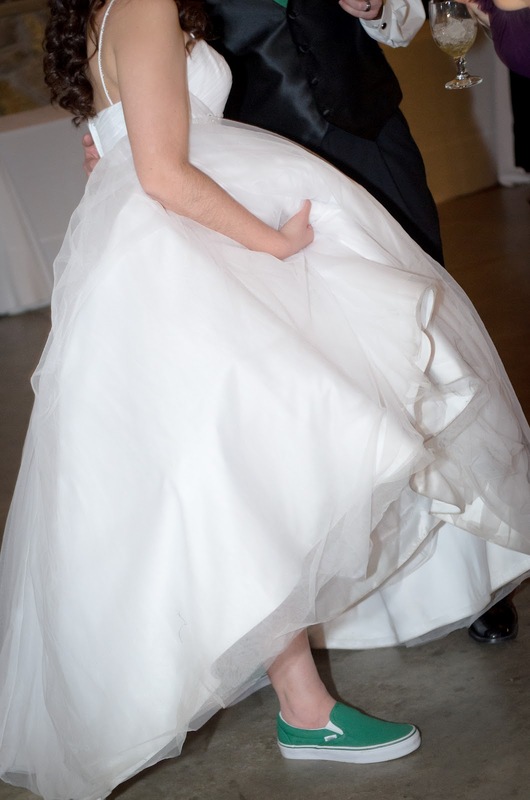 They came from David's Bridal, like my dress. 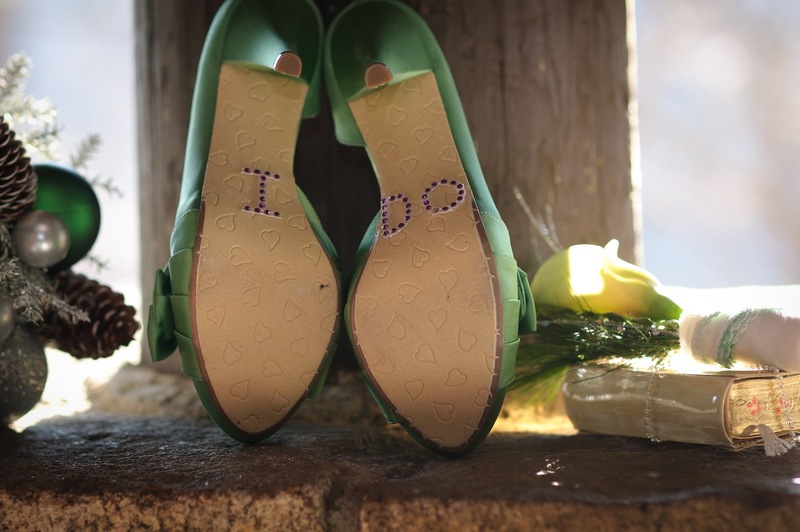 I wore them for all the bridal photos, walking down the aisle, the cocktail hour, and most formal photos. 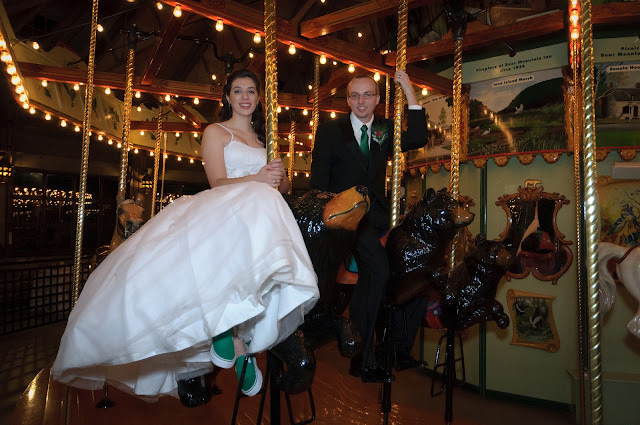 At the last minute I decided to do the little "I Do" trend at the bottom for some photo ops. I went with bright purple gems, to match my bright purple toenails. The gems were actually strung together, I found them in Wal*Mart's ribbon section, sold by the yard. I asked the girl for 6", so it turned out to be some ridiculous amount like .18¢ and they were a breeze to hot glue on. Before any of the dancing started, I knew I wanted to slip into something comfortable. Since it was a winter wedding, I didn't want to go with the traditional "white flip flops." 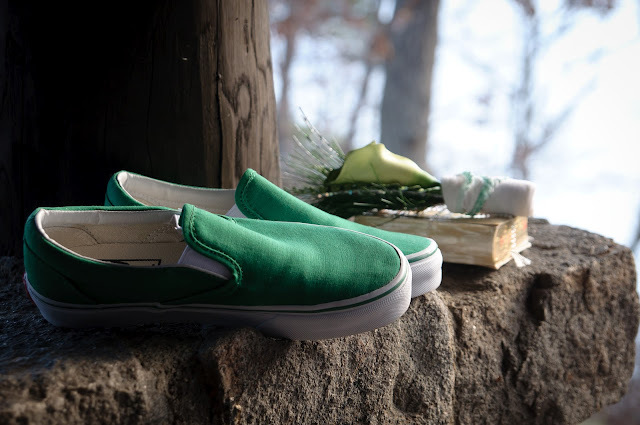 Besides, why would I wear any other color shoe besides bright green?! I cannot tell you how glorious it felt to sit down and kick off the heels and put on these shoes! 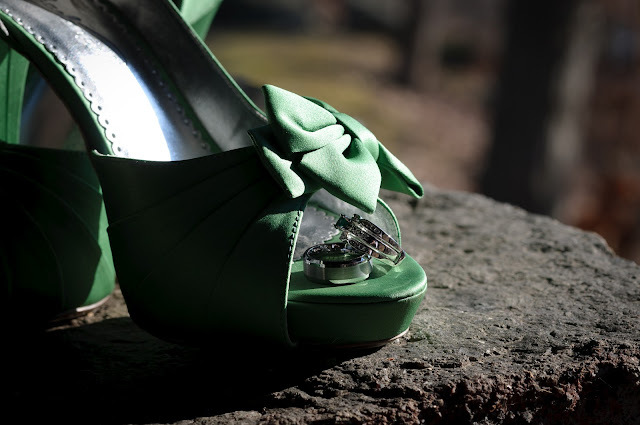 Brides that wear heels for their entire wedding day definitely deserve an official award ceremony and recognition. 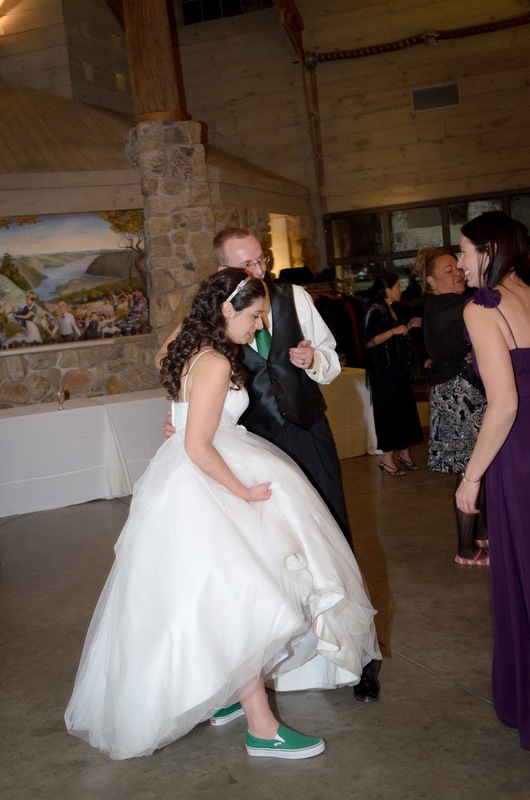 This is my aunt asking me to lift up my dress to show off my shoes. 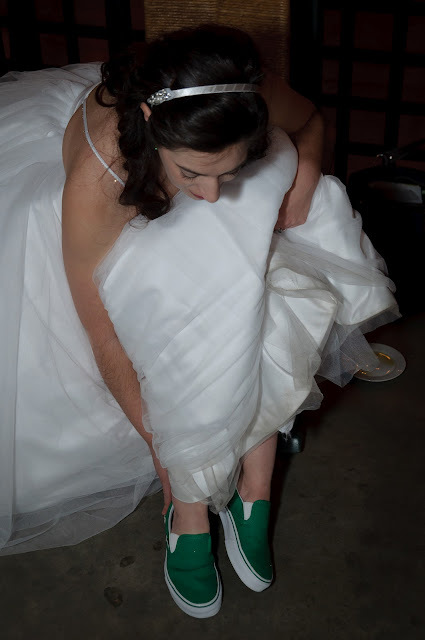 Apparently my grandfather needed visual proof that I, indeed, had bright green sneakers on under my wedding dress. The Vans even made it into some of our "official" wedding shots. I wouldn't even be able to walk to a bathroom in those high heels! You were a gorgeous bride Christina!! OMG Christina, I LOVE the green shoes!!!! (and LOVE the photo with the rings on the toes) You looked AMAZING!!!! Hope you have a great day. I love them! I wish I would have thought of it in purple for my wedding!